In his final acting role, legendary auteur Rainer Werner Fassbinder (clad in an iconic leopard skin suit) stars as hardboiled detective Jansen. In a neon-drenched futuristic dystopia ruled by a multimedia conglomerate called The Combine, Jansen is sent on a labyrinthine investigation when their headquarters is threatened with mass destruction by a phantom bomber. This essential cult classic features an hypnotic electronic score by Tangerine Dream's Edward Froese as well as gleefully mind-bending production design. 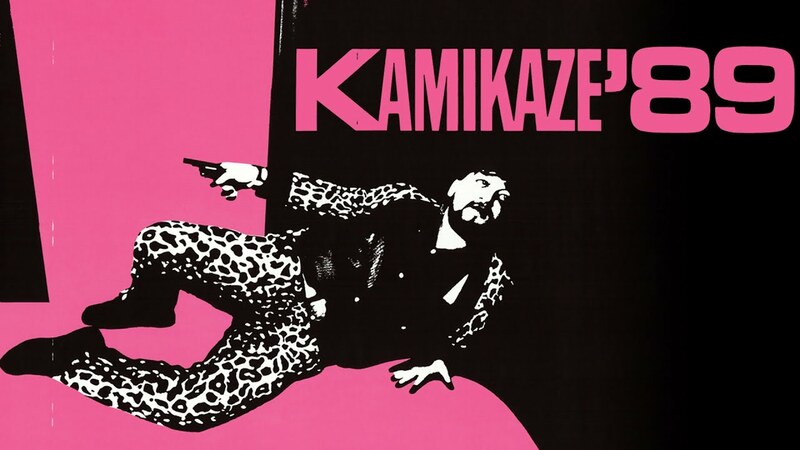 "[KAMIKAZE 89] is a footnote to film history..."
"For those rabid Rainer-maniacs who can't get enough of the late, great director, KAMIKAZE 89 is a must -- if only to see Fassbinder in his leopard-skin suit..."